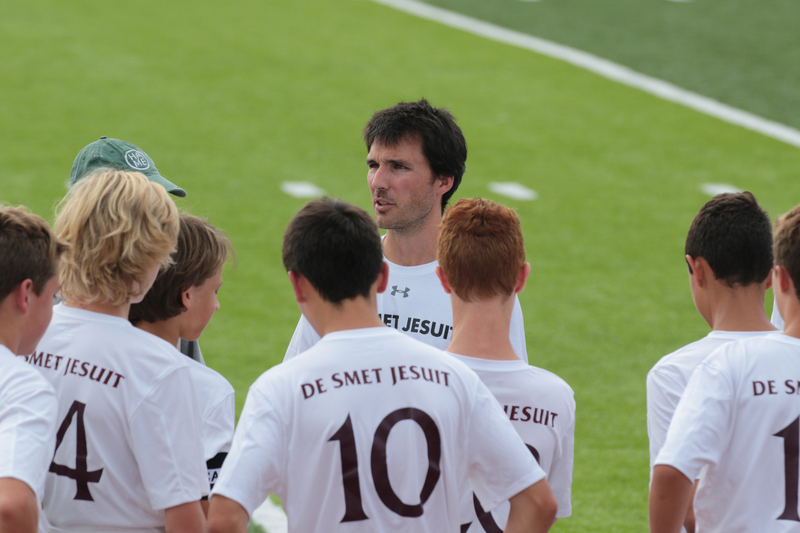 De Smet Jesuit is a private Catholic high school serving young men in grades 9-12 in St. Louis, Missouri. Varsity soccer cheers on the varsity football team. Spartans are known for eagerly supporting their peers by attending their activities and performances. Students recognize their De Smet Jesuit brothers as brothers for life. 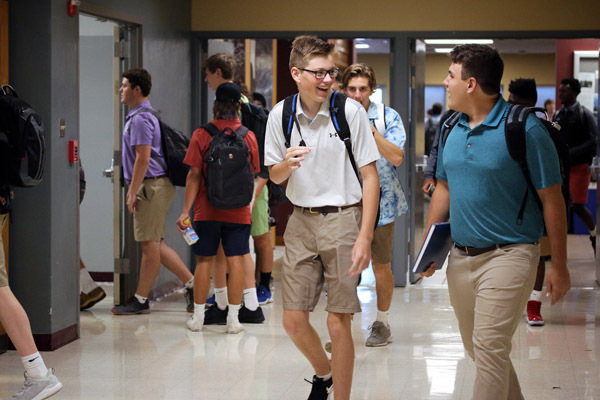 Students choose De Smet Jesuit because they feel welcomed and wanted in their initial campus visits such as shadowing a Spartan for the day—and they find their ongoing experience remains consistent with those early perceptions. More than 80% of our teachers are also coaches, club moderators, or trip leaders. Boys learn better when positive and trusting relationships are the foundation. Research supports this concept. So do our graduates. 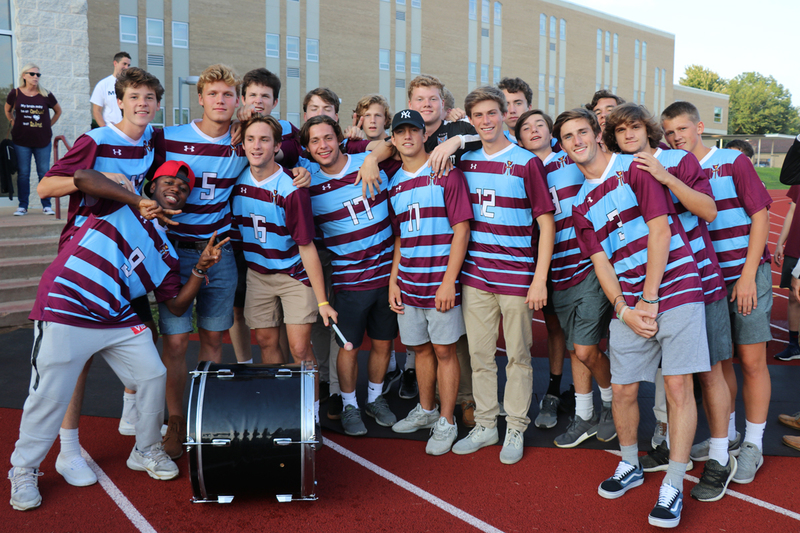 At De Smet Jesuit faculty members are accessible and responsive to both students and parents, and students recognize their De Smet Jesuit brothers as brothers for life. Boys respond to what works and what doesn’t in a classroom. Our teachers employ reflective teaching from the Ignatian Pedagogical Paradigm, a teaching method that includes setting context and using experience, reflection, action, and evaluation. Teachers remain fluid and flexible in the classroom, and open to changing things up in response to the needs of our students. Our block classes encourage project-based learning. Our rotating schedule allows for varied class times and flexibility. Our curriculum challenges students to be prepared for college. 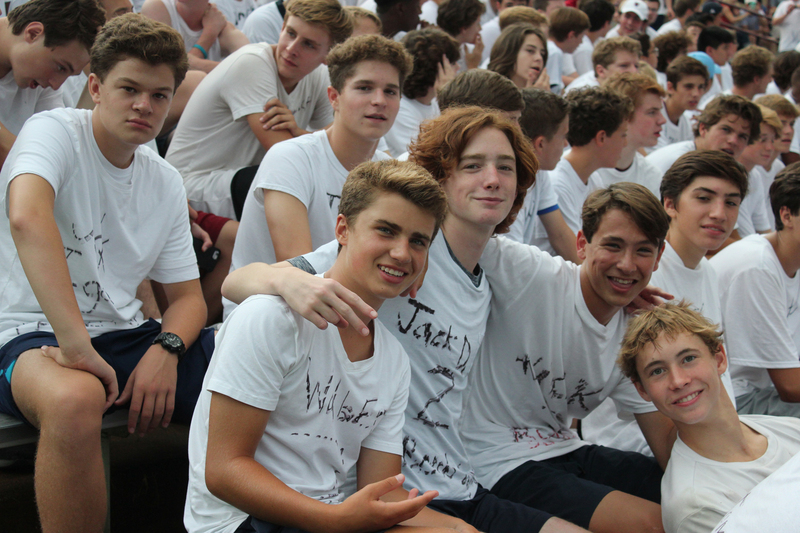 Our Jesuit lens of commitment to justice puts boys outside their comfort zones and into the community. Our Innovation Center Caves evoke the deeply spiritual place where St. Ignatius wrote what was to become the Spiritual Exercises. They serve as purposeful, creative spaces for student inspiration. We know boys have high standards for learning in a meaningful, active way, and we hold their attention in a way that leads to understanding and mastery. Our universal Jesuit profile of the Graduate at Graduation means we are equally committed to our students’ academic success as we are to forming well-rounded humans with their eyes toward deepening a relationship with God. We are strengthened by a network of nearly 90 Jesuit secondary schools in the US. Our philosophy of cura personalis (care for the individual) drives genuine relationships and care for each individual student. Our comprehensive service programs instill a lifetime habit of service and encourage students at each grade level to be men for and with others. We help students become loving and faith-filled human beings through retreats, daily prayer, reflection, service, senior compañeros program, athletics, and community celebrations.